The UCLA Film Archive and Preservation Center is located on McBean Parkway between CalArts and COC. 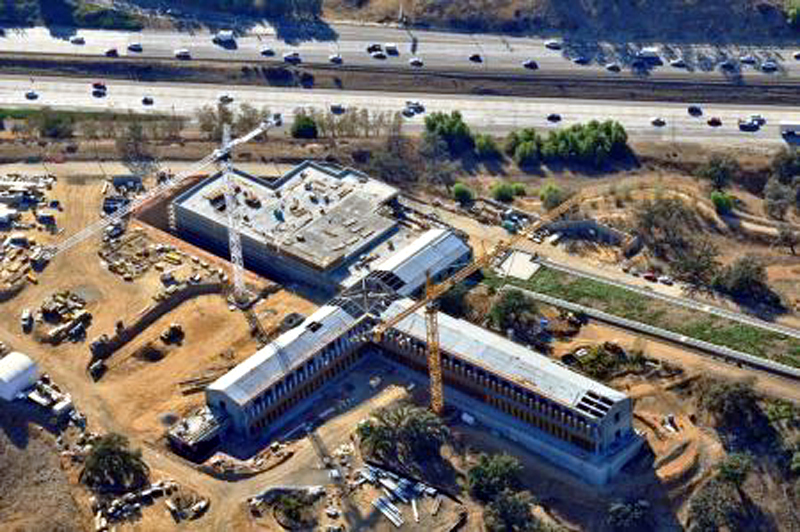 Development is well underway for the UCLA Film Archive and Preservation Center, which saw its roof structure and walls completed in December. Work on the exterior cladding, roofing, interior build-out, mechanical, electrical, and plumbing systems is also in progress. Stone cladding being installed on the North Stoa. Decorative wood ceiling panels being installed in the interior of the building. Construction on the wing, which will house large steel storage racks holding a wide collection of films. For more information about the UCLA Film Archive and Preservation Center, visit Santa-Clarita.com.